Well, we've officially made it to the end of the Back to School Blog Hop with Island Batik! Did you follow along? If so you got to see the awesome Spring/Summer lines that will be arriving at your quilt shops over the next few months. Make sure to let the places that you shop know what you would like to see them carry! 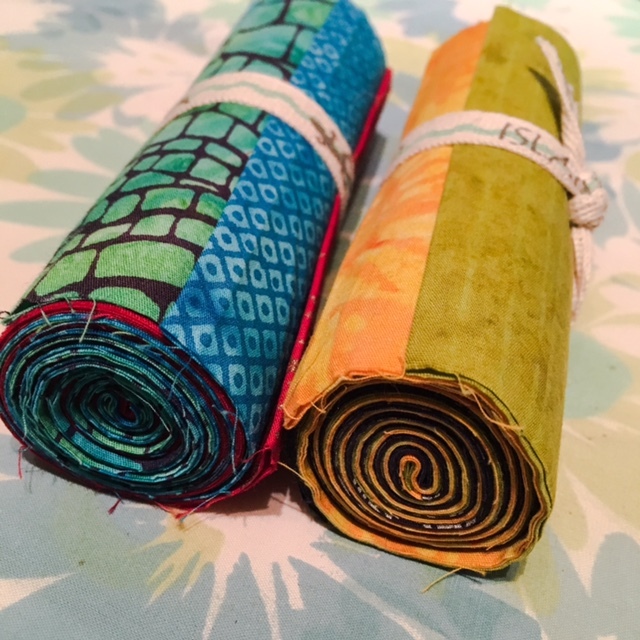 As an employee at a quilt shop, I can tell you that we love your input - we really want to stock the fabrics that you are interested in working with. Time to announce the winner of my giveaway! Congratulations to Thunder, whose entry for visiting my facebook page was chosen as the winner. I've e-mailed you for shipping information, so let me know and I'll send these beauties your way on Monday. Now it's time to get into the sewing room and finish up my row for the Christmas Caroling Row Along! Here's a peak at my fabric - these were provided by Northcott and are going to make my row look fabulous. They are from the Santa Claus is Coming to Town line. I have a picture somewhere on my computer, but it seems to be hiding, but I will share that later when it turns up! Wishing you a good weekend, hope you find the time to do some stitching!